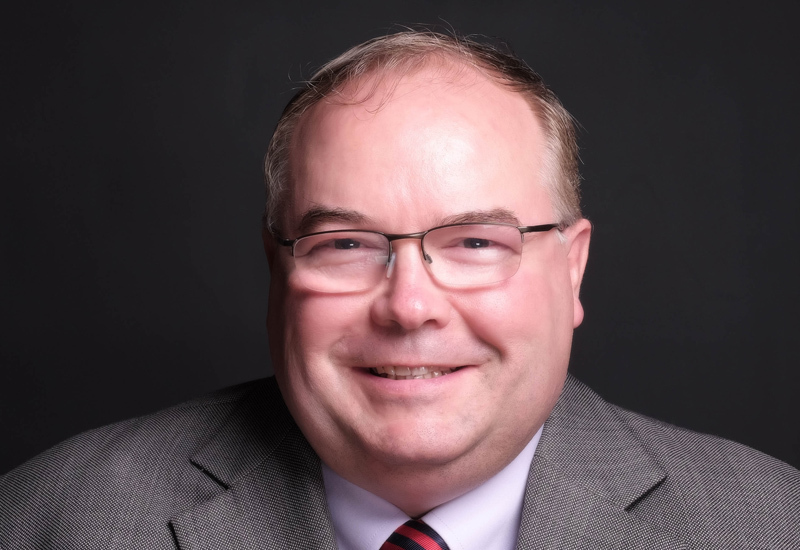 Having spent most of his career in the packaged foods industry, Jorge Torres is accustomed to the sort of lengthy timeframes associated with conceiving a product, developing it, and, eventually, seeing it consumed by the end-user it was intended for. So when he departed Nestle Waters Company to join up with Taco Bell, he admits to being pleasantly struck by the nature of things in the QSR world. “The ability to have the consumer, the ‘factory’ and everything else within the same four walls is the best part of it — it’s very exciting,” he says. Torres’ arrival at the Mexican-inspired chain, formally announced in May last year, coincides with the brand’s plans to aggressively expand its business in the UK by growing its store footprint and penetrating new towns and cities. Taco Bell has had something of an indifferent relationship with the UK market. It first put a flag in the ground in 1986 and initially targeted high profile locations such as Leicester Square. However, a general lack of marketing and awareness around the Tex-Mex genre meant that rapid growth was hard to come by. After largely disappearing from view in the 90s, current owner Yum! Brands reignited its appetite for UK sales by opening a series of new stores, but strayed from the previous strategy by adopting less of a city-centric approach. Today, about 50% of its outlets are based on the high street. “We have 27 restaurants in the UK right now and we will continue looking for the right opportunities,” says Torres, proudly showing off its latest store on one of Hammersmith’s busiest thoroughfares. Diners at the Hammersmith store can see into the kitchen to watch their food being prepared. Outlets in Camden, Holborn, Fulham and Croydon were due to open as we went to press, taking it past the 30 mark. 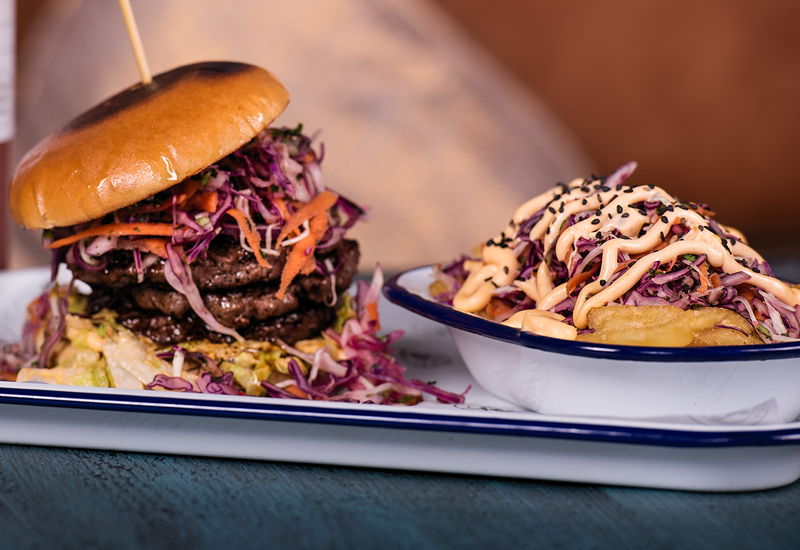 “We are also opening about eight more restaurants outside of London, in the north and south, so there is definitely momentum for expansion.” Portsmouth, Doncaster, Great Yarmouth and North Ayrshire are all understood to be on the agenda. 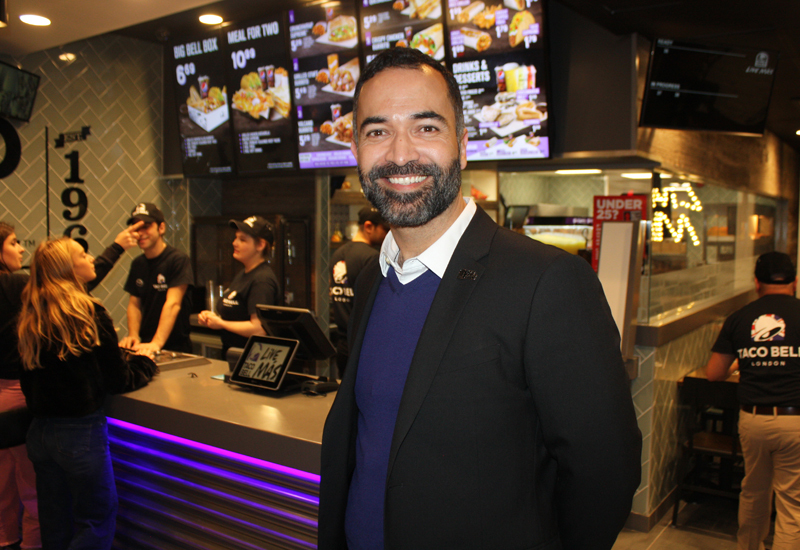 Torres acknowledges that there are still many Brits that have never heard of Taco Bell, but by the same token he argues that there are just as many who have been urging it on social media to open in London. He insists these “fans” are the biggest advocates for the brand and, furthermore, with awareness improving any caution that the company may have previously felt has been replaced by quiet confidence that it is exactly the right time to expand. Having already proved the concept works in cities such as Brighton and Manchester, the stores it is launching in London visually demonstrate its desire to be seen as a “lifestyle” brand. Walls are decorated in vibrant colours and textures befitting of the southern Californian way of living that the chain takes inspiration from. Torres intends to be “very marketing oriented” but insists this will be balanced with a greater focus on value, taste and “heart” when it comes to its food proposition. “The menu is much simpler now than even it is in the US because we want to have the best sellers as our everyday offering and then bring in innovation to support that,” he says, highlighting a deconstructed taco featuring a shell made of fried chicken rather than tortilla as an example. Taco Bell aims to introduce at least six menu “innovations” a year, all of which must fit with the ethos of the brand and be priced at the right level for the QSR market. 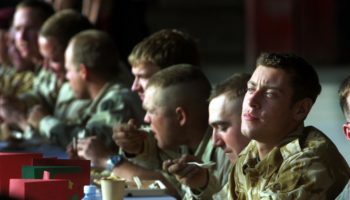 Meals typically cost between £4.99 and £5.99, with a dish for two competitively priced at £10.99. Torres certainly isn’t taking his market counterparts lightly, though. Asked to share his observations of the market since he joined the business, he describes the competition as “fierce”, adding: “Many new concepts are popping up — some of them dying very quickly, which is very interesting — and lately there has been a more competitive environment in terms of value. Unfortunately — or maybe fortunately for us — many of the competitors are offering value with a compromise. The question is therefore how can you meet those price points while not compromising the food experience or the customer experience? 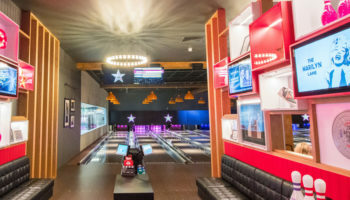 The big menu sellers and blockbusters continue to originate from the US, where the company has the experience of more than 7,000 restaurants to fall back on, and these are usually rolled out in the UK without requiring any tweaks. The introduction of items such as the naked chicken taco and chicken nachos are driven locally, while dishes such as its triple crunch wrap are an adaptation of an existing product line. 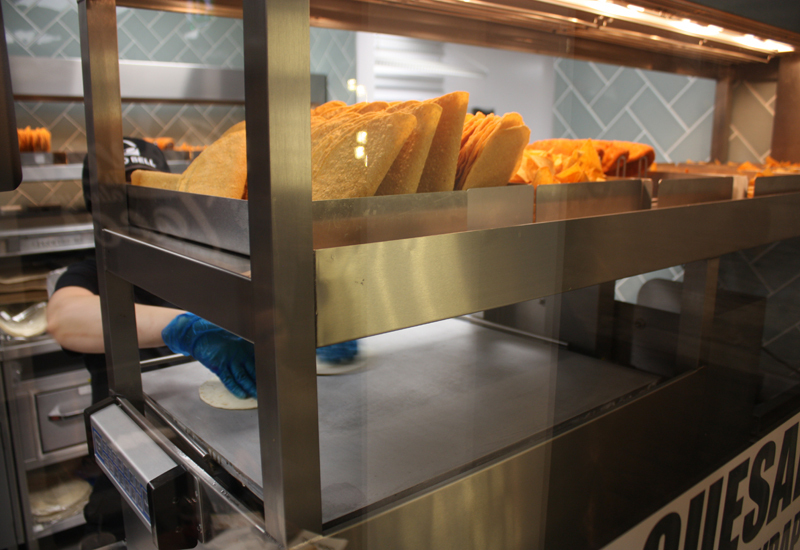 Taco Bell kitchens are equipped using kit proven in its American restaurants. 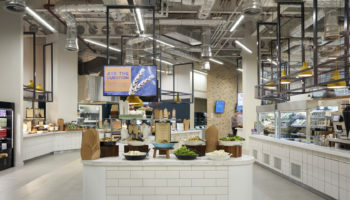 Plans are in place to introduce “reloaded” versions of some of last year’s most popular products in 2019, while the chain has been experimenting in its test kitchens with new forms and ingredients that will provide a fresh take on some of its classics. Taco Bell’s central operations team is based in Woking, in the same premises as Yum!’s other key brands, KFC and Pizza Hut. The chain now has a new space on the first floor and is building up resource as it attempts to expand throughout the UK. Torres says there are benefits to be gained from residing in such close proximity to its sister brands. “I feel very lucky that we have KFC next to us. The UK is maybe among the top five markets in the world and KFC is our largest brand in Yum! so the amount of resources and connections they can offer is endless. They are a great partner because we are family and so there are many things that we share, for instance, such as distribution partners, suppliers and production facilities. Although it is not identical, it is very well integrated so that we can take advantage of the scale that KFC offers as well. Just a small percentage of restaurants worldwide are still owned by the brand, with the rest comprised of franchisees. 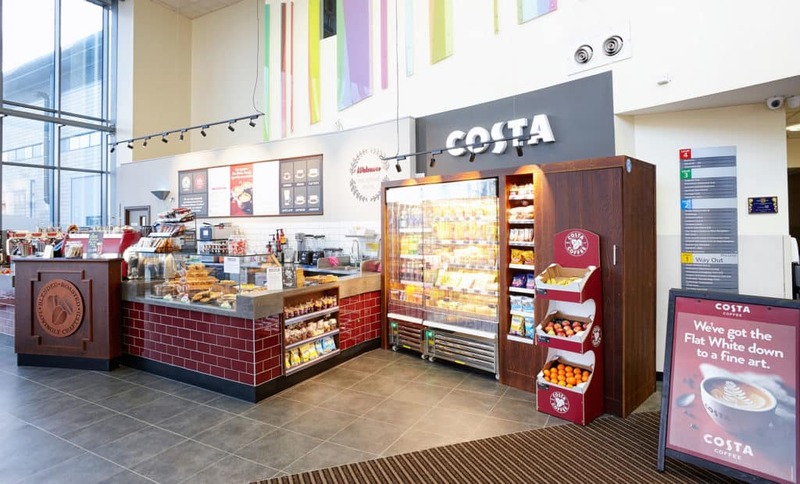 The UK mirrors this franchise-led approach, with the brand currently reliant upon four core franchisees for its coverage. 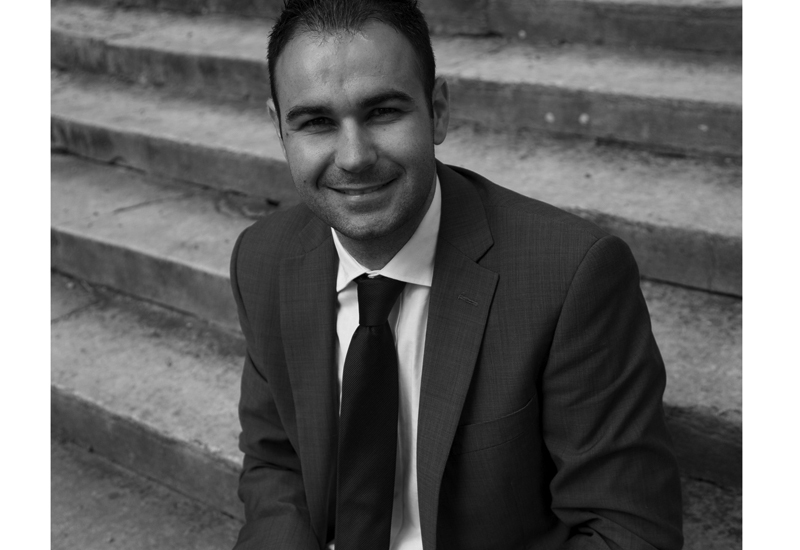 This includes Caskade Caterers and QFM Group, its two largest partners, which are both experienced franchise operators. Is there enough capacity and appetite for investment among the existing franchisees to drive expansion? “Yes, there are franchisees that are really excited and capable of continuing expansion,” he answers. “We prefer to work with fewer, bigger franchisees — it is more efficient for us as we are building a team and maximising our resources. It all depends on how big the market is and what the potential of the market is — the UK is so big right now that there is still room to grow. 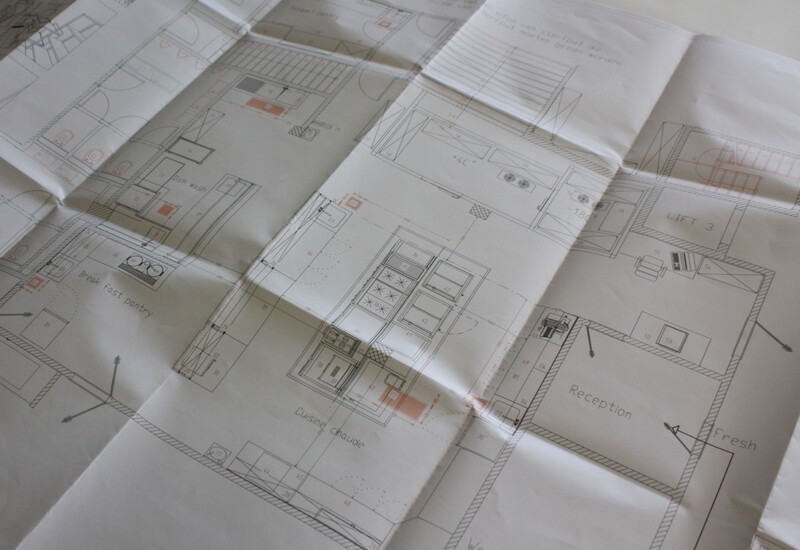 Designing kitchens for a QSR environment is a fine art, with prep areas notoriously small and congested. The best fast food operators have honed their kitchen templates over a period of decades in order to achieve ultra-high productivity and ensure that not a single inch of space is wasted. 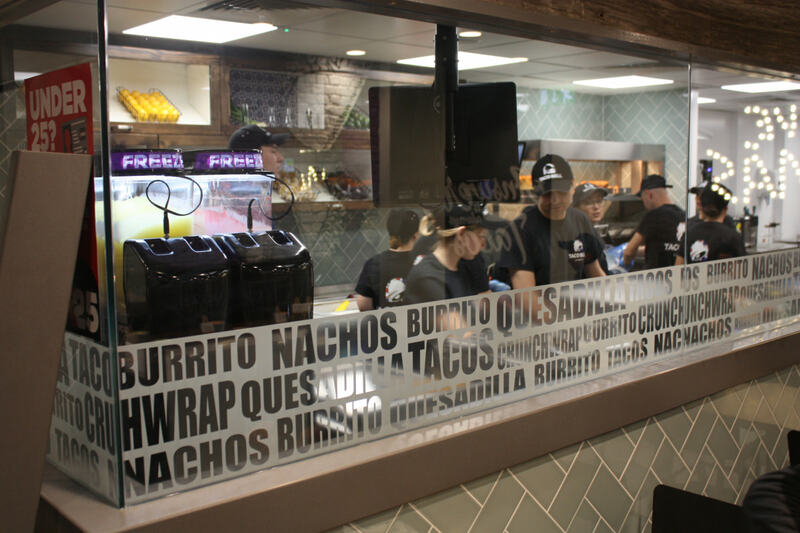 Taco Bell typically operates a one or two line production model based on the size of the kitchen, and increasingly customers can see their food being prepared. 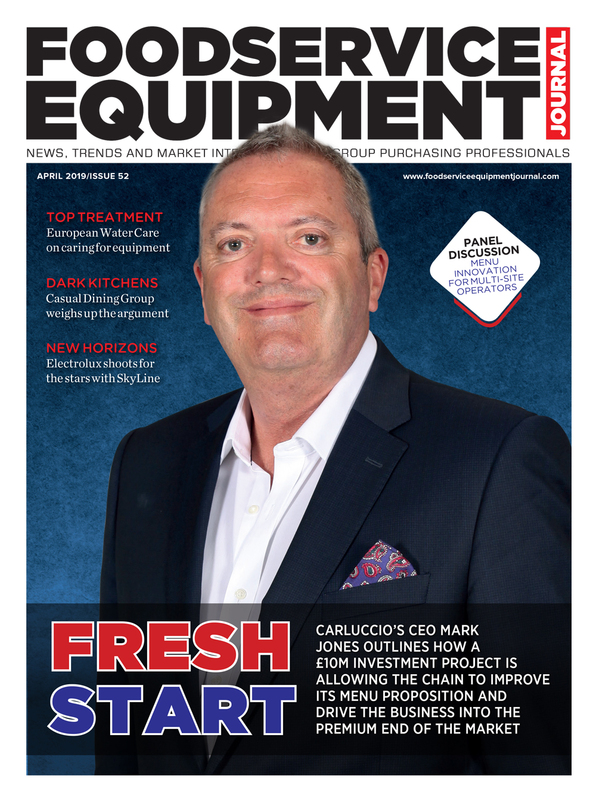 “In the US, the majority of the stores are closed kitchens or what they call eye-line and traditionally that is what the QSR industry has had. If you look at McDonald’s, everything happens out back in the kitchen and you just get your product. Now the trends are different and we are opening them up so Taco Bell International has started experimenting with new layouts. 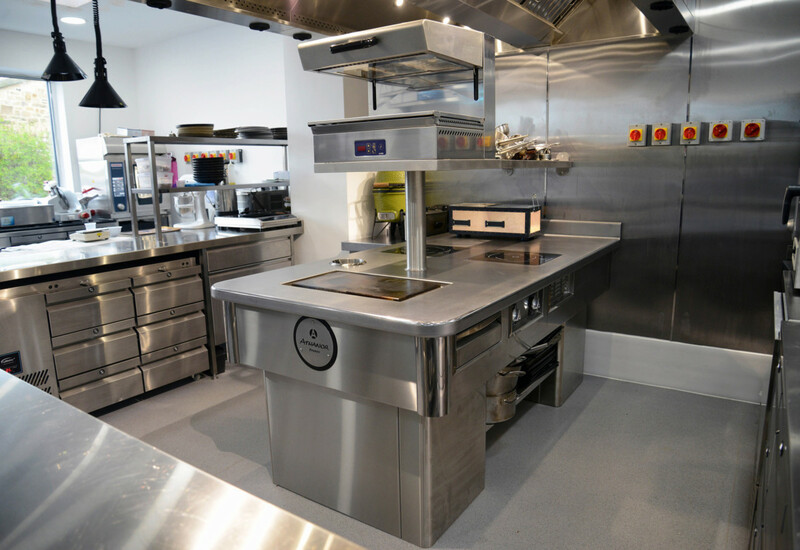 Torres says that UK kitchens generally reflect the sort of set-up and infrastructure that Taco Bell has in the US. “A big part of it is that the equipment has been tested a number of times as successful, and so we don’t need to reinvent the wheel. Now, depending on the menu innovation, sometimes there are specific smallwares that we may have to bring in, and they will come in and out depending on whether it is a limited time offer or a permanent item. Taco Bell seeks to supplement its iconic menu items with around six new ‘innovations’ each year. “But I would say the kitchen is very standardised. 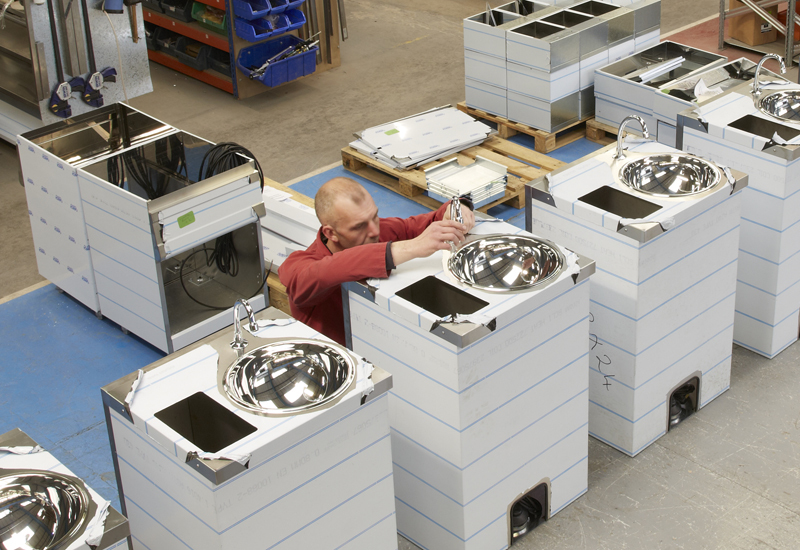 And that’s why we work with specific partners that are consolidating the production of our equipment. There is an element of flexibility in terms of what we can do locally. For example, there is furniture that we can source locally but there are things that are so critical to the success of the kitchen that they need to be centralised,” he explains. 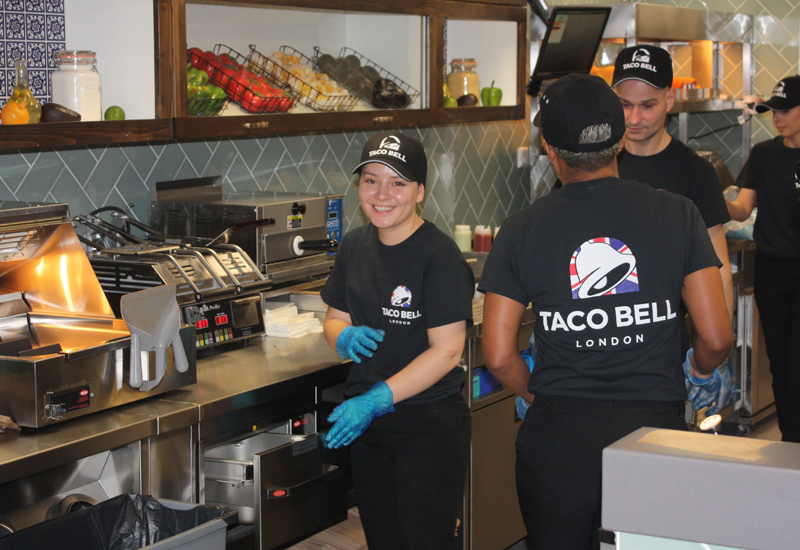 With Taco Bell rolling out a string of London restaurants and planning new sites right the way across the land, there is a genuine feel from within the business that it is transitioning from small UK market incumbent to credible multi-site powerhouse. With the might of its parent company behind it, and the UK market knowledge of sister brands KFC and Pizza Hut to call upon, Taco Bell couldn’t be better placed to stake its claim for Tex-Mex dominance.